Middle East Electricity 2019 will shine light on latest trends and growing opportunities to meet soaring demand for power. The annual mega event, which combines five dedicated shows within a single exhibition, will run at Dubai World Trade Centre from March 5 to 7, against a backdrop of increasing regional power demand, keen investor appetite and shifting industry dynamics which see renewables rising up the agendas of governments across the region and beyond. 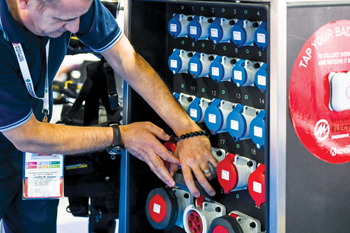 The unprecedented demand for power will see industry players, large and small, new start-ups and established leaders, utilising the unique platform of Middle East Electricity 2019 to engage visitors in game-changing, across-the-board opportunities throughout the show’s five focused sectors: power generation; transmission and distribution; lighting; solar and energy storage and management. “Massively upscaled demand, supply diversification and conservation have helped to create enhanced opportunities for industry players and boosted the potential of the region’s power industry,” explained Claudia Konieczna, exhibition director – Informa Industrial Group, the organiser of the event. “Analyst expectations for the region put the exhibition in the top global league of power investment, which explains why international interest in the show keeps rising annually,” Konieczna added.